The 2013 San Antonio Breast Cancer Symposium (SABCS) opened with a Plenary Lecture by Dr. H. Gilbert Welch, a professor of Medicine at the Dartmouth Institute for Health Policy and Clinical Research, on “Screening Mammography and Overdiagnosis”. 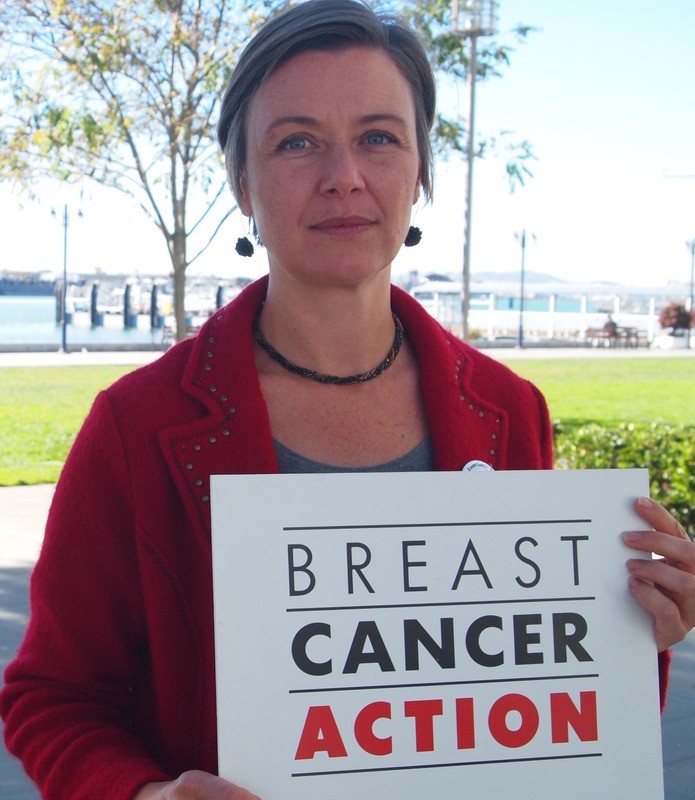 Dr. Welch’s analysis will be familiar to those who attended BCAction’s March webinar, “The Oversimplification of Early Detection: Screening Mammography and Breast Cancer Overdiagnosis,” at which Dr. Welch co-presented. At SABCS today, he provocatively opened with the assertion that breast cancer screening is a choice—not a public health imperative. Dr. Welch wanted the audience to know that he knows that breast cancer is an important disease. And he was very clear that his comments cover screening mammography; there is no debate about the importance of diagnostic mammography. According to Dr. Welch, we are seeing an excess of early-stage breast cancer diagnosis with only a small reduction in late-stage diagnosis. Troublingly, there has been no benefit in terms of decline in women who are diagnosed with metastatic breast cancer. In beginning his review of the data, Welch acknowledges that while there are a number of random trials of mammography screening, they are all messy in different ways. Indeed, the closing paper of General Session I was Dr. Robert A. Smith, senior director of cancer screening at the Atlanta branch of the American Cancer Society, contested much of the data on screening mammography in a paper discussing the “Disparities in the estimates of the benefits and harms from mammography”. Much of the mammography debate has to do with disagreement about the observed benefit from screening mammography in random trials, which has been reported as anywhere between 0-25% reduction in death from breast cancer. Dr. Welch noted there has been a 30% reduction in breast cancer mortality since the 1990s, and as high as a 50% reduction in mortality for hormone sensitive breast cancers. But he suggests that it is better treatments that account for this reduction in mortality and argues that screening mammography appears to have little to do with the ongoing decline in breast cancer mortality. Any benefit of screening must be balanced by the real harms of screening: false positive results (when an “abnormal” mammogram generates additional medical intervention to determine there is no cancer) and overdiagnosis (when a woman is told she has cancer, is treated, but in the end that cancer would have never caused her problems or death). The essential nature of population-based screening is that it must involve many people to potentially benefit a few. Showing a massive graph of 1,000 squares on the giant screen, Dr. Welch suggests that just 3 of 1000 women may be helped by screening mammography. Most—997 women—are not helped. What happens to those 997 women? A low-end estimate (assuming low-breast density and a low call-back rate) is that 300 would be expected to have a false positive over 10 years of annual screening. Using different assumptions (women with high-breast density whose slides are read by a radiologist with a high call-back rate), the high-end estimate jumps to 700 women who have a false positive diagnosis over 10 years of annual screening. For Dr. Welch, this means we are unnecessarily alarming more than half of women getting annual mammograms. And he goes on to discuss the long-term psychosocial consequences of false-positive screening mammography, comparing women with breast cancer, a false positive result, and a normal mammogram. Three years after a false positive mammogram, women’s psychological health falls in between that of women whose mammogram was “normal” and those who have been diagnosed with breast cancer. And herein lies a largely undiscussed harm of mammography: in addition to the short-term anxiety, cost, lost time, pain, etc. of a false positive, there are longer-lasting psychosocial harms women experience as a result. And here Dr. Welch asserts that health is more than the state of one’s physical body. “Good health is more than the absence of physical, or biochemical abnormality. It is also a state of mind.” When dealing with a population-based screening strategy, we need to deal with how much dis-ease that strategy causes. The second harm of mammography screening discussed by Dr. Welch was overdiagnosis. After showing data from the Malmo study that out of 475 diagnosed breast cancers, 115 are overdiagnosed cancers, Dr. Welch proposed a hypothetical headline: “One in four cancers detected by mammography would never pose health risk.” And that, he says, is a low estimate. Breast cancer is not an epidemic of disease but epidemic of diagnosis, Dr. Welch concluded. It’s clear that we need better ways to distinguish between the cancers that are life-threatening and those that aren’t to help minimize overdiagnosis.